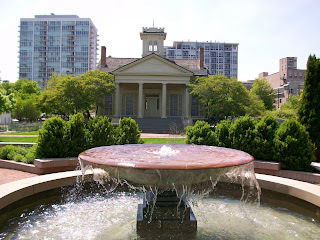 The Clarke House Museum (1827 S. Indiana Ave.) and Glessner Museum (1800 S. Prairie Ave.) are looking for new Docents for the upcoming 2012 tour season. Training is free and begins Saturday, March 10. There are five consecutive Saturday training sessions in total, from 9:30 a.m. to 12:30 p.m. each week. Benefits of the position include invitations and discounts to museum events, 25 percent off merchandise in the respective museum gift shops, annual recognition and opportunities of continued education.